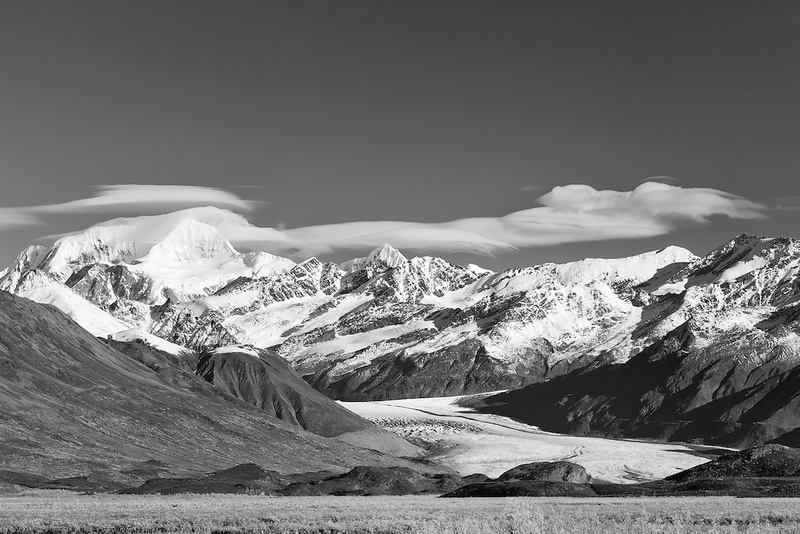 Lenticular clouds over the eastern Alaska Range and the Maclaren Glacier signal an approaching low pressure system in the Maclaren River Valley in Interior Alaska. Fall. Morning.